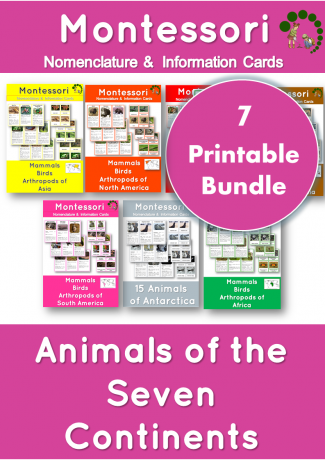 Please, note that this is a Bundle of the seven printables which are also available individually. 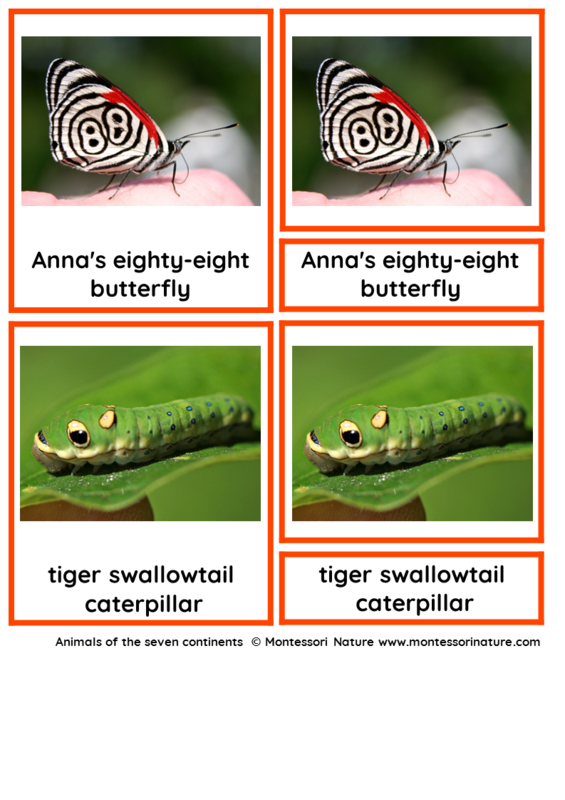 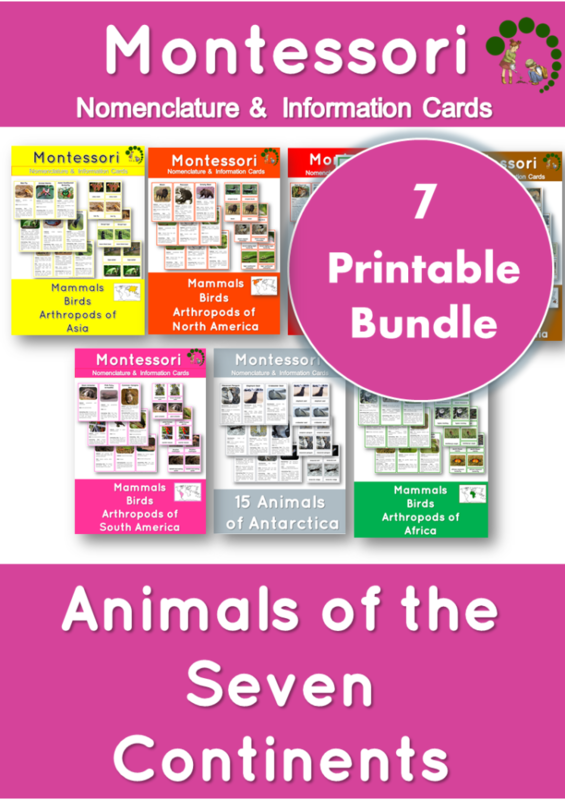 This bundle of 7 printables contains Animals of the Continents Series – colourcoded clear, informative Montessori materials for Montessori continent study. 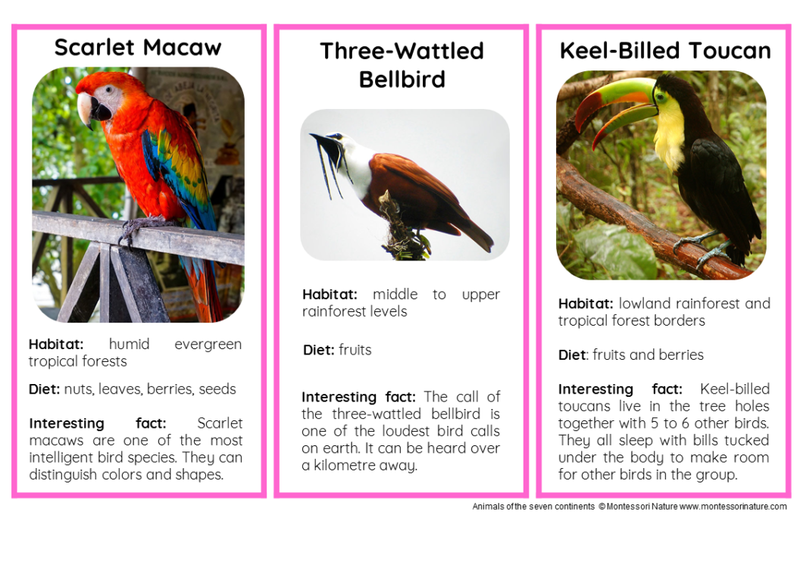 This series contains information about mammals, birds and arthropods found across the world and includes the most fascinating creatures that inhabit our planet. 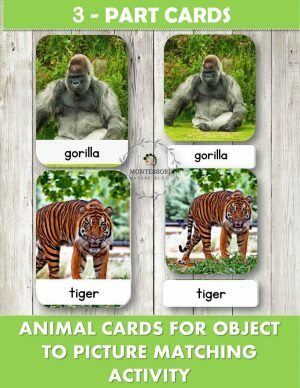 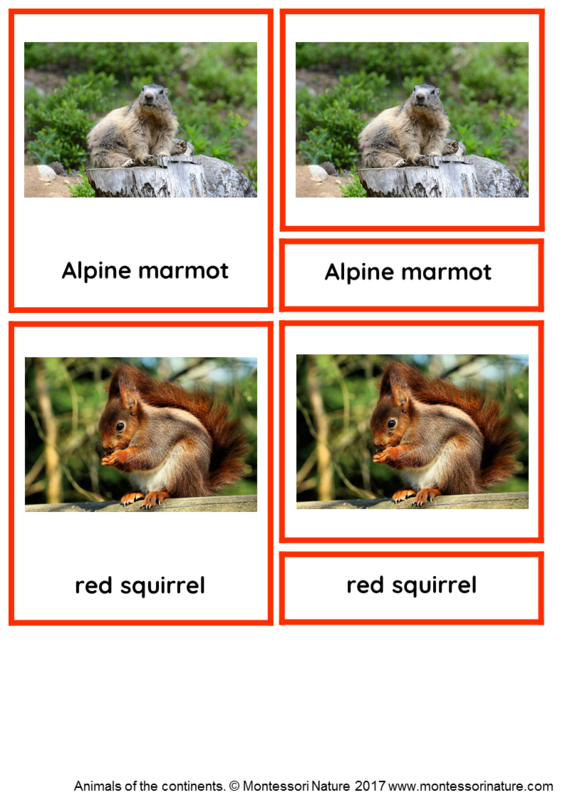 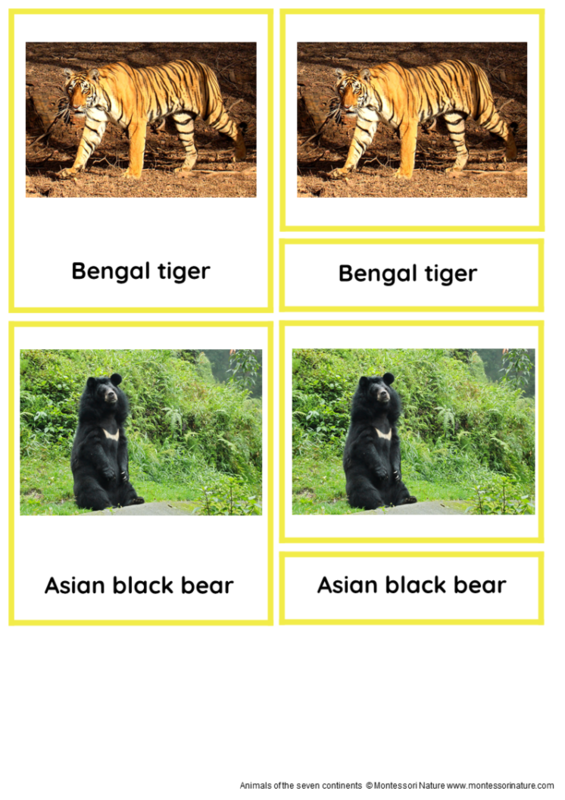 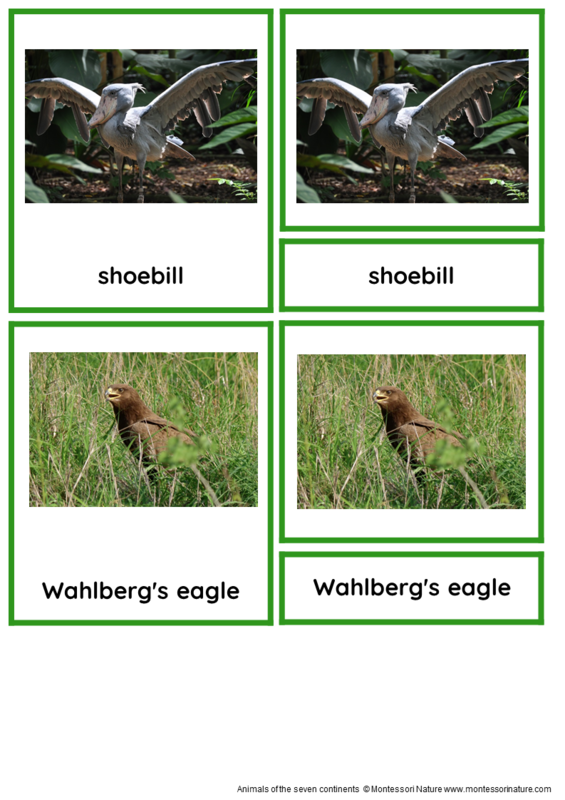 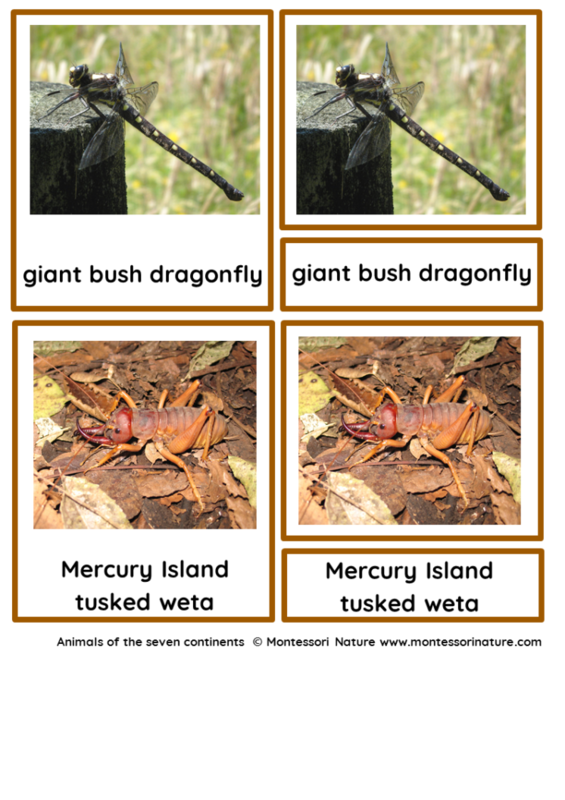 Each set consists of 3-Part cards including photos of animals and 45 information cards. 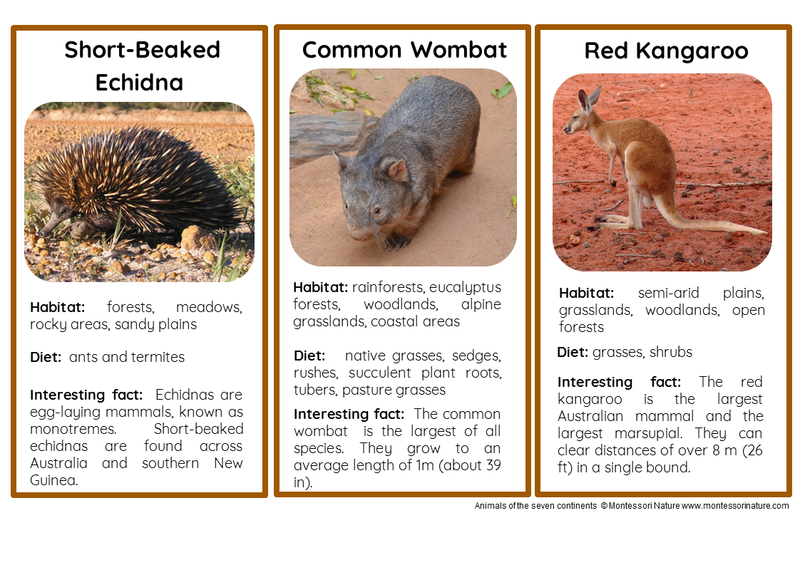 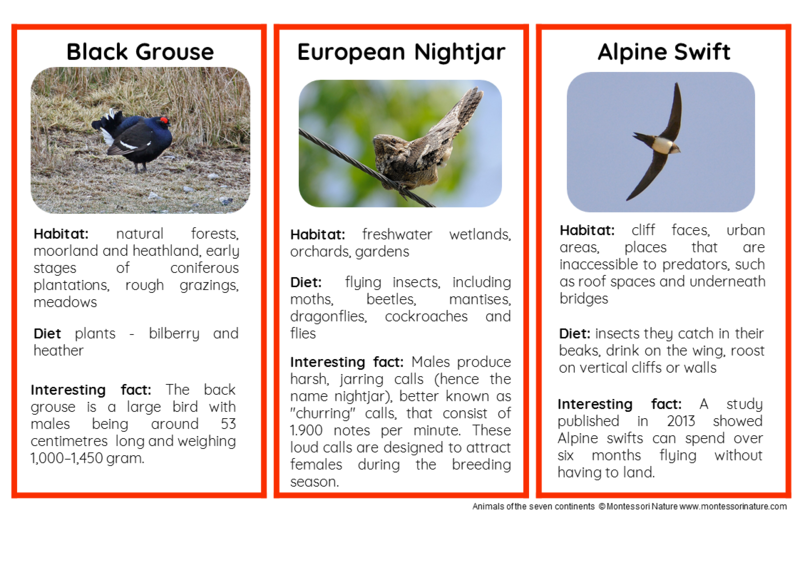 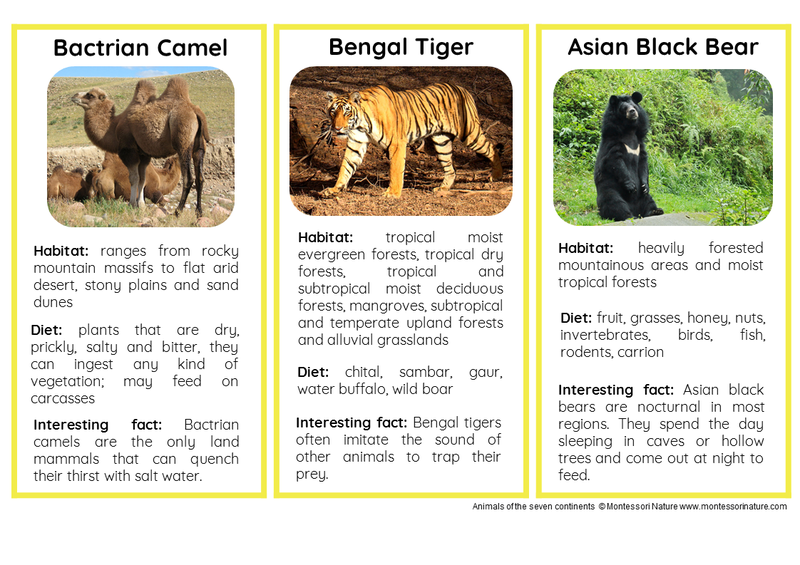 Each information card provides details about animal habitat and diet, plus one interesting fact.